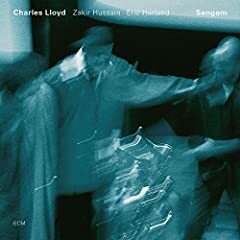 Charles Lloyd may, in many ways, be the ideal ECM artist of the new century. Certainly since returning to the label in the late ‘80s, his recordings, all with wonderfully diverse, yet all uniformly spiritual ensembles, have set a new standard for music that is simultaneously introspective and energetic. Click here to read the full review at AllAboutJazz.com.